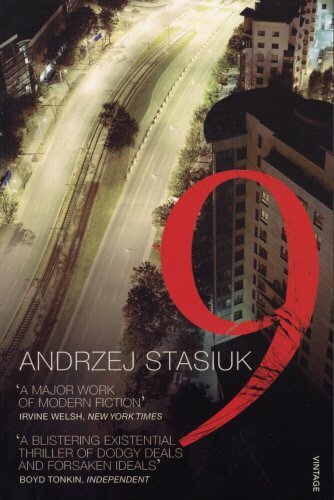 "Nine" is a brilliant novel from one of Europe's finest writers. It tells of a post-communist generation of young Poles among whom the strictures of the old collide daily with the freedom of the new, adrift in moral space and disconnected from family, neighbours, and friends. It is the story of Pawel, a young businessman, in debt to loan sharks, seeking help from former friends, many of whom are now prominent in the city's drug-dealing underground. And of Warsaw, a hostile landscape of apartment blocks, factories, and suburban wastelands, 'a city that at nine-thirty goes to ground, coming to a halt, and giving time to those who have nothing to do.' In prose that is at once colloquial and lyrical, Stasiuk portrays a people in transition and a nation in the re-making. In the process, he has created an existential crime novel as well as a major work of art.